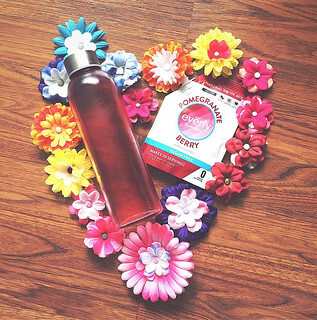 Everly is a start-up drinks company with a conscience set up by Kyle McCollom and Chris Cole in 2013. Kyle and Chris contacted us during their set-up planning, because they wanted ethics built-in to Everly right from the start. Every time someone buys an Everly product in the US, a donation comes to ColaLife. They call it ‘Hydration for Hydration‘. But the relationship is much more grounded than that. Please read on. There are a growing number of companies in more developed countries that are seeking links with developing countries. Perhaps one of the best known is Tom’s Shoes and their One for One initiative. The company started matching every pair of shoes purchased with a pair of new shoes for a child in need. This is very laudable, but there is a problem with this approach: it can distort the local market for shoes if an external agency is giving them away for free. We do things differently. All the money given to us by Everly is used to stimulate the local market and not undermine it. So how do we do this? Well, in two ways, designed to ‘create value’. That phrase isn’t just marketing jargon. It really works. We educate customers and retailers in the benefits of Kit Yamoyo to establish the product’s value. This creates demand which is then met by local community retailers. Customers must have the means to buy and affordability can be an issue. But we never give Kit Yamoyo away ‘for free’. 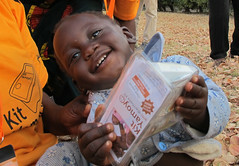 In these circumstances we distribute targeted vouchers to mothers and carers. This puts real ‘value’ into their hands as vouchers can be exchanged for a discounted kit at the retailers. The demand that these activities create is felt by retailers who buy Kit Yamoyo from the same wholesalers they visit, to buy the other commodities they sell. The wholesalers then buy from the distributors or manufacturer. 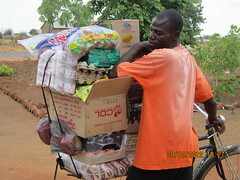 In this way Kit Yamoyo is pulled into communities. ColaLife (the name and the organisation) is actually invisible to our Zambian customers: we don’t insert ourselves into the local system and distort it, we mobilise existing private sector mechanisms to get a life-saving product (Kit Yamoyo) to people who need it. This way, once the product is established in the market, we can withdraw and leave a sustainable product and delivery system in place which needs no further outside assistance. As the picture shows, Everly’s drinks are sold as powders, not unlike ORS. 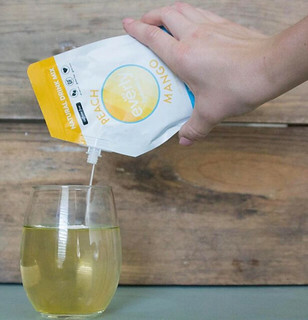 Active Everly customers don’t have to carry water around, they just carry Everly sachets and mix when they need to. The Everly drinks are also made from the finest natural ingredients – no artificial sweeteners or anything like that. Every’s Chris Cole spent a summer in Bangladesh, the birthplace of ORS, learning about the harmful, often deadly, effects of dehydration, especially in conjunction with waterborne diseases among children. It had a big effect on him – just like it continues to motivate us at ColaLife. And just like us (but on a different tack) Chris started to think of ways he could promote healthy hydration to help others, by linking with beverage markets in more developed markets. The other exciting aspect of our relationship is that we are both start-ups. We are both establishing a new, quality product into the market. We are both obsessed with design, customer feedback and sales. We are both heavily into social media and story-telling. We are both recruiting new outlets and going the extra mile to get things done. And we are both ‘hustling’ (as Kyle puts it) to get profile, support and backing any (legal!) way we can. We wish to thank Everly for choosing us as their partner. Their success is our success.